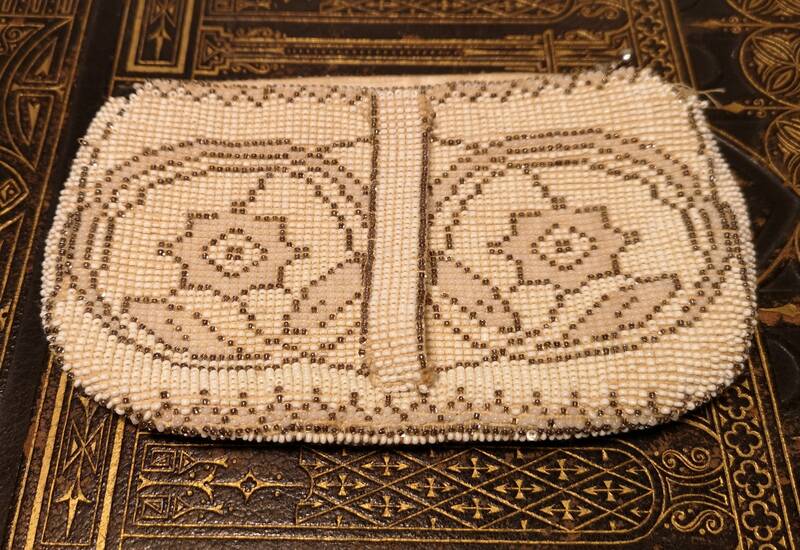 A pretty early 1930's beaded clutch purse. 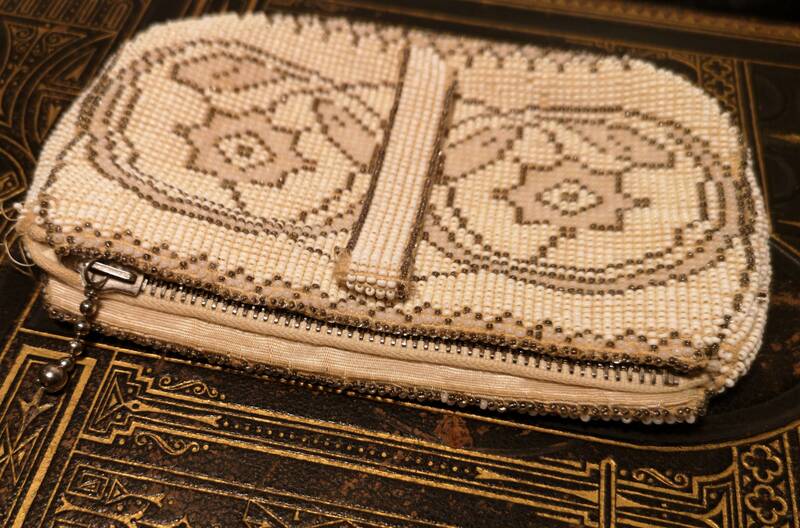 It has a delicate cream and gold pattern front and back. 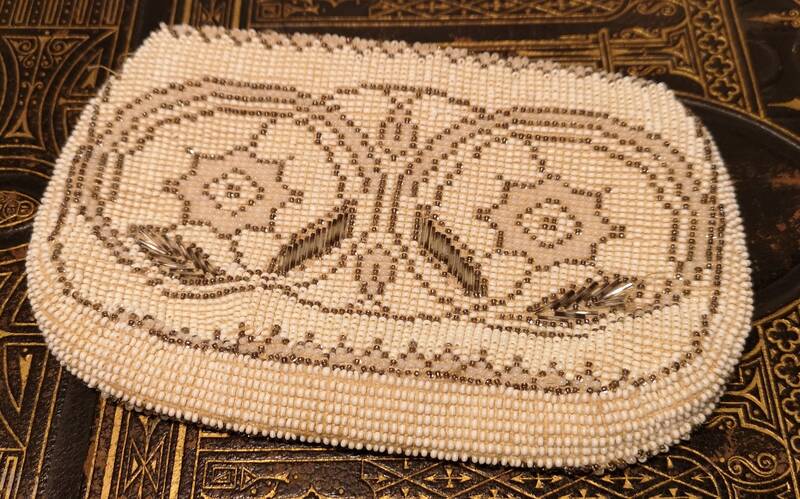 The back has a wrist / hand strap also beaded. 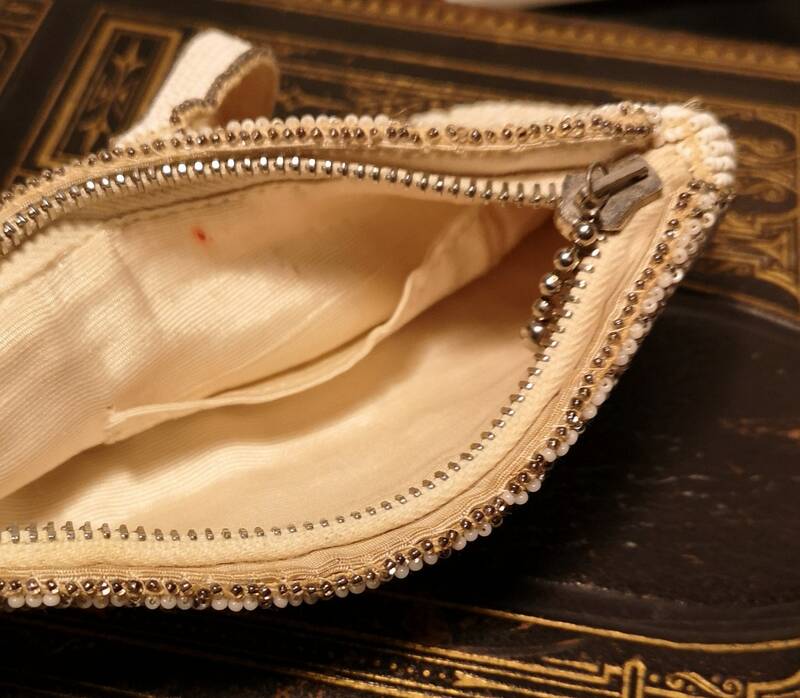 The zip has been replaced on the top and it would have had a press stud closure. 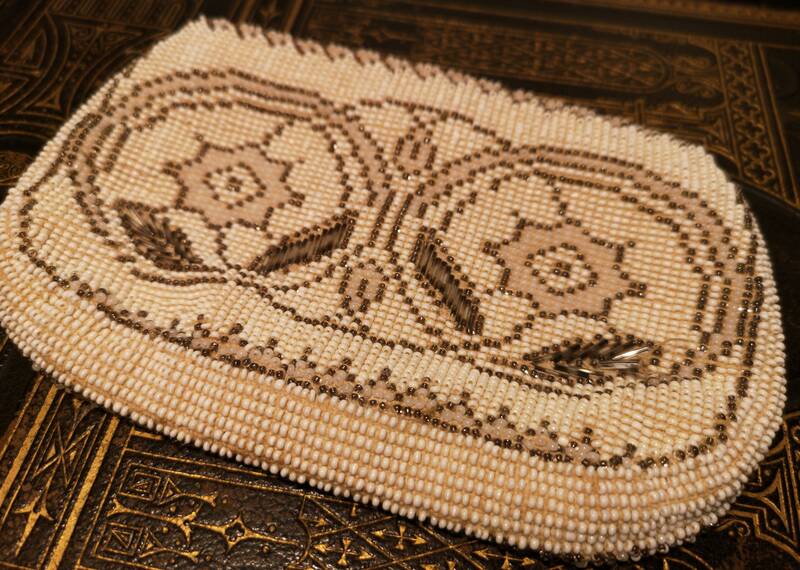 Good condition overall, some missing beads and areas of wear and some marks.